It’s a long story between Aesop and design! The most trendy Australian brand has already worked with some of the best architects, like the French collective Ciguë and the interior design agency Dimore Studio to create the decoration of its Parisian boutiques. This time Aesop worked with Paulin Paulin Paulin which has selected the furniture for the metamorphosis of its offices.This ephemeral place introduces for the first time in Paris, Les Soins sur Rendezvous until end of may. Thick carpet, coffee-colored walls, armchairs displayed all along this monochromatic space with remarkable aesthetics. 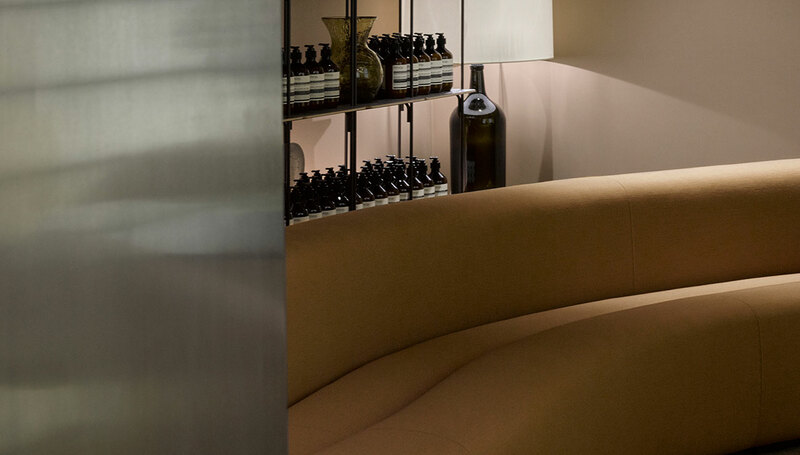 In this soft and enveloping atmosphere, each element contributes to disconnect the visitor from the outside world so that he can take advantage in all serenity of a tailor-made face care. A la carte, 6 protocols of 60 minutes, designed to replenish the skin with vitamins, antioxidants and other active ingredients of botanical origin whose only the brand has the secret. 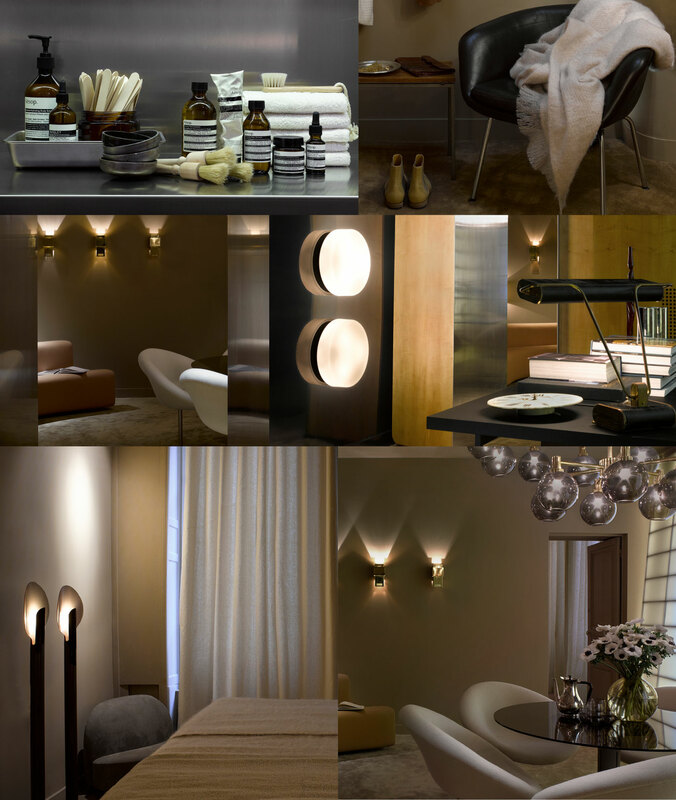 In short, a moment of happiness in a luxurious atmosphere that galvanize the complexion and the mood. Sweet.